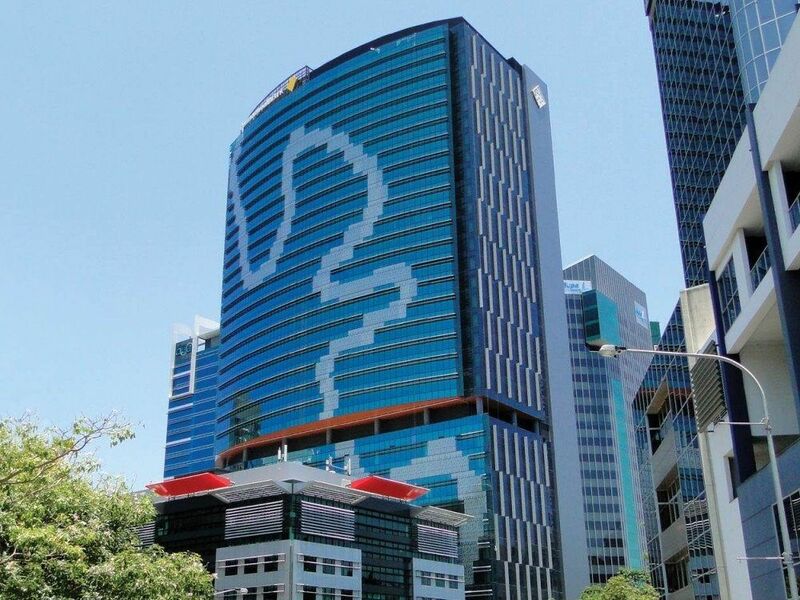 Located on a uniquely shaped site in Brisbane CBD’s “golden triangle” area, 180 Brisbane was the first commercial office project to be built speculatively in Brisbane following the global financial crisis. 180 Brisbane – also known as “180 by Daisho” (in reference to its Japanese owner, the Daisho Group) sets a new benchmark for commercial office accommodation in Brisbane’s CBD. Designed by architect Crone Partners and built by Watpac, the 34-storey A-Grade office tower features a range of technologies that contribute to its 6 star Green Star Office Design v3 rating. The building features two plant rooms on levels 12 and 33 (rooftop level). A trigeneration plant located on the rooftop plantroom produces 1000kW of electrical power and is teamed with a 99kWe solar PV array to meet up to 40% of the base building’s electrical maximum demand. 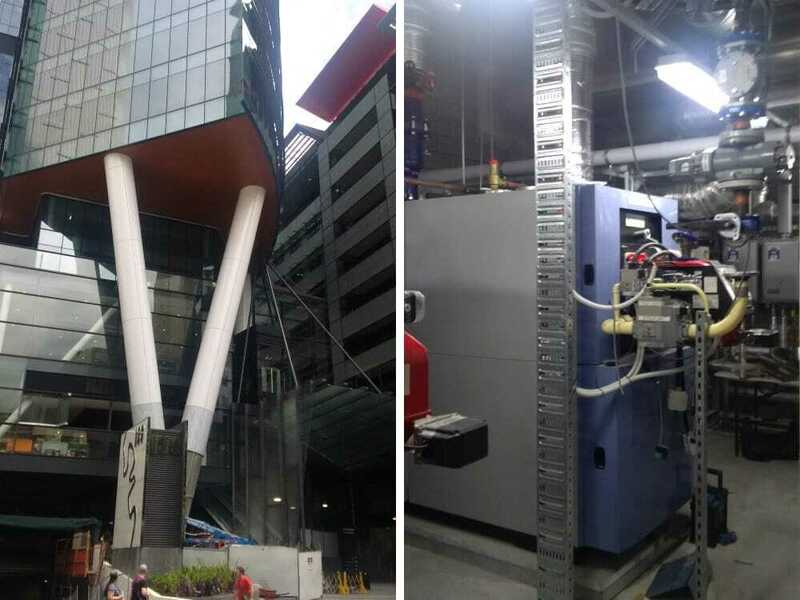 A 2250 KVA diesel engine generator also provides 700 KVA of standby power to an anchor tenant. 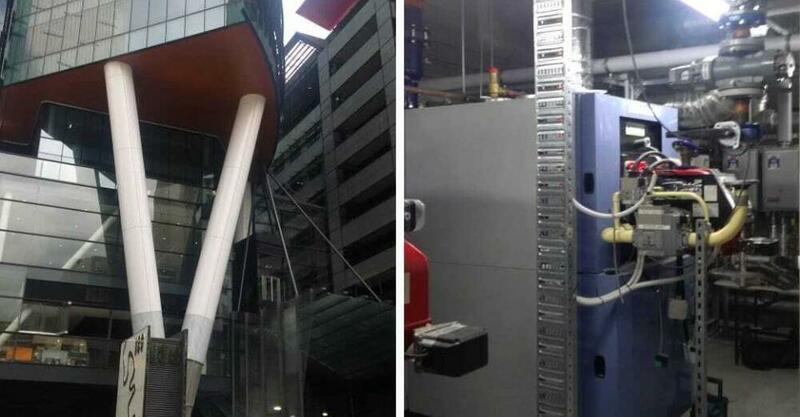 A major contributor to the building’s sustainability ratings is the highly energy efficient HVAC solution designed by FLOTH Sustainable Building Consultants and installed by mechanical services contractor, AE Smith. 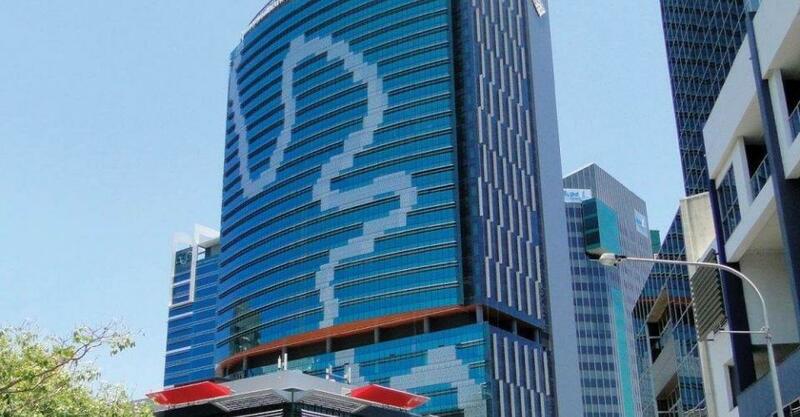 The design is based around a central, low temperature VAV (variable air volume) system that offers high reliability, inherently low energy consumption and excellent dehumidification performance which is important for Brisbane’s sub-tropical climate. The use of low temperature VAV also reduced the spatial requirements of the HVAC system, compared to traditional systems. A chiller management system (CMS) controls the building’s chilled water generation including the cooling towers, chilled water and condenser water reset strategies, and standby operation of the chillers. To provide heating hot water and domestic hot water to the building, AE Smith specified cutting-edge boiler technology designed and supplied by Automatic Heating. The boiler plant achieves 2500kW of hot water via two Eurogen 1250kW Condensing Water Heaters that run at low operating temperatures of 35/45°C to ensure very high efficiency is achieved. 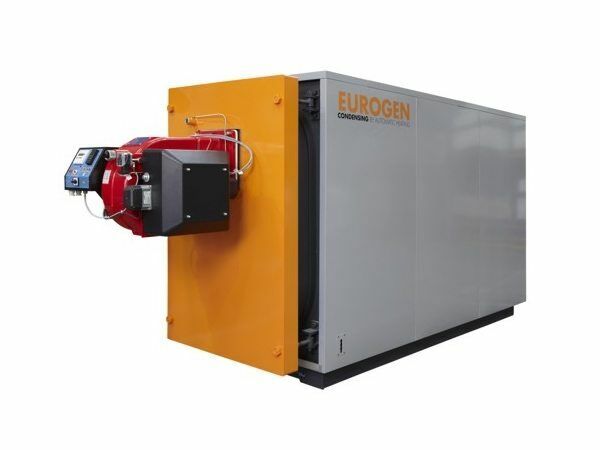 Beyond their energy efficient operation, Eurogen were selected for their compact design, narrow footprint and ability to be delivered fully assembled as a complete package. 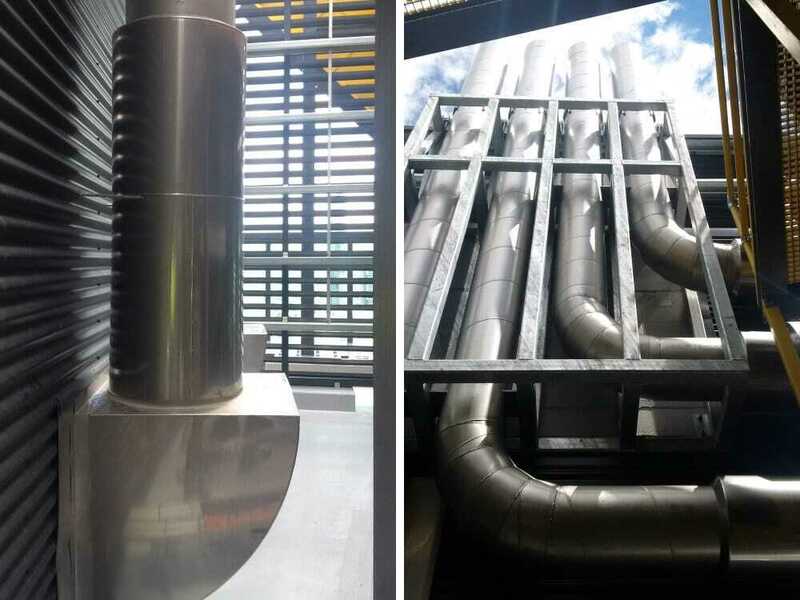 Constructed from stainless steel and available in output ranges from 450kW to 2100kW, the Eurogen model offers the ability to heat large volumes of water. They were specified with Enterprise Burners that provide 98% efficiency and modulation up to 10:1. 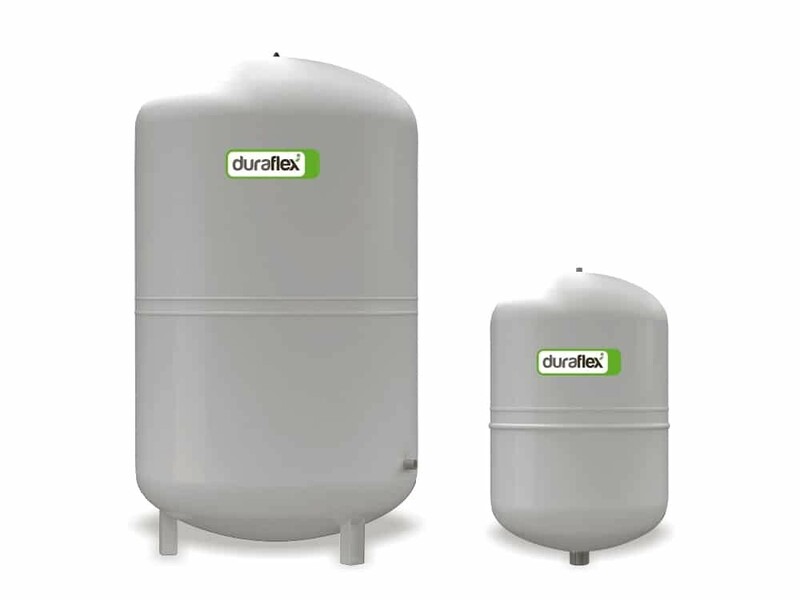 Additionally, Automatic Heating has supplied Duraflex Forte expansion tanks to the 180 Brisbane project, specifically designed for chilled water closed circuit applications and heating hot water systems up to 70°C. 180 Brisbane reached completion in late 2015. 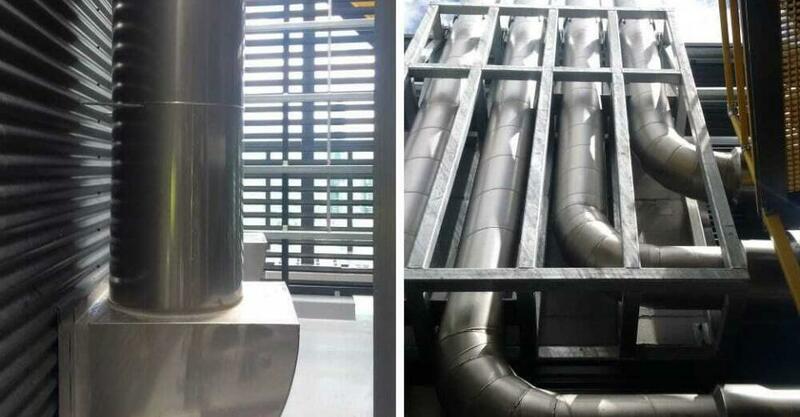 All parts in contact with water are made from stainless steel to ensure resistance to corrosion. Eurogen is professionally designed and built to perform to specification. Certified test results prove its efficiency. Eurogen accommodates lower return water temperatures and can operate at a ΔT of up to 30°C.